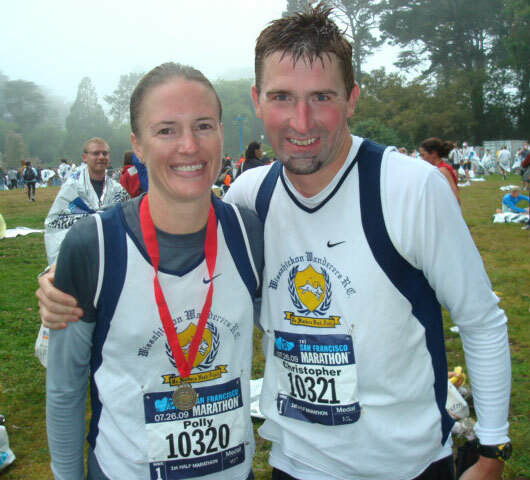 Polly & Chris in San Fran for 1/2 Mar. 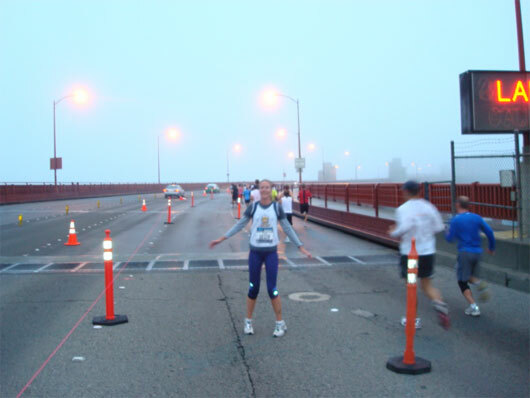 Chris Verry and Polly Jansen recently (7/26) traveled to San Francisco, CA to race the SF Half Marathon. 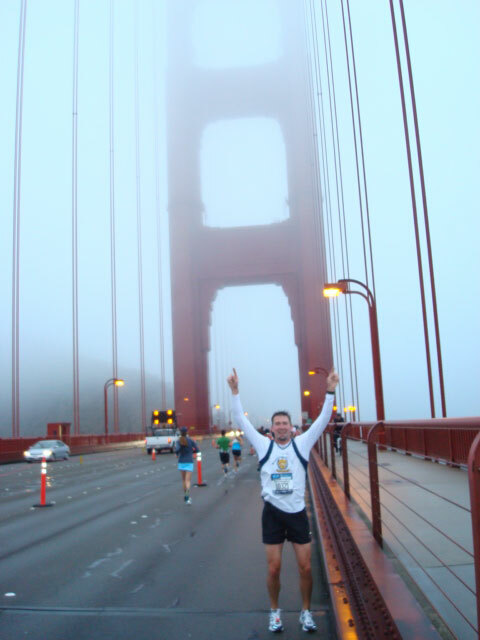 The course was very scenic and included the Golden Gate Bridge. See pictures below. 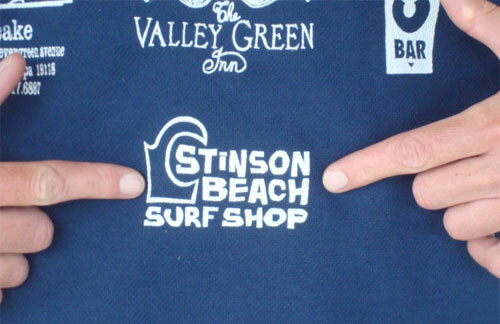 During their trip, they noticed a sign for a former Wanderers sponsor (whose logo appears on the Wanderers singlet): the Stinson Beach Surf Shop. Unfortunately they closed shop recently. 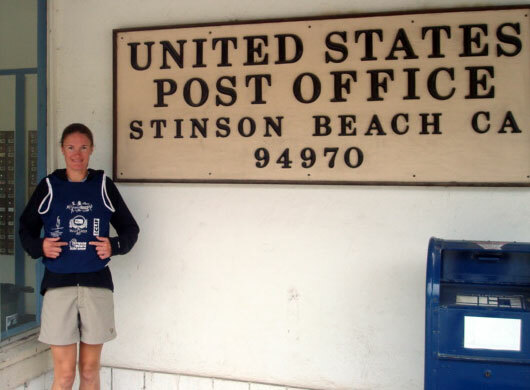 Again, see pics below.